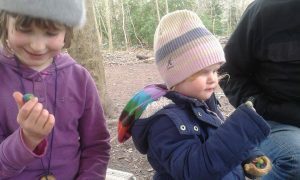 This is what we got up to in Paupers Wood with the young adventurers this weekend: thankfully the rain held off despite the ominous weather forecast. 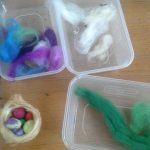 It’s been a while since we’ve done any felting and there is something magic about the way felt transforms. We made beautiful little eggs and nests for them to keep warm in. A little Robin came and stole a bit of wool. He watched us for ages as we set it out and then came and sneaked a piece the minute our backs were turned. I think there will be a colourful nest in Paupers Wood now! 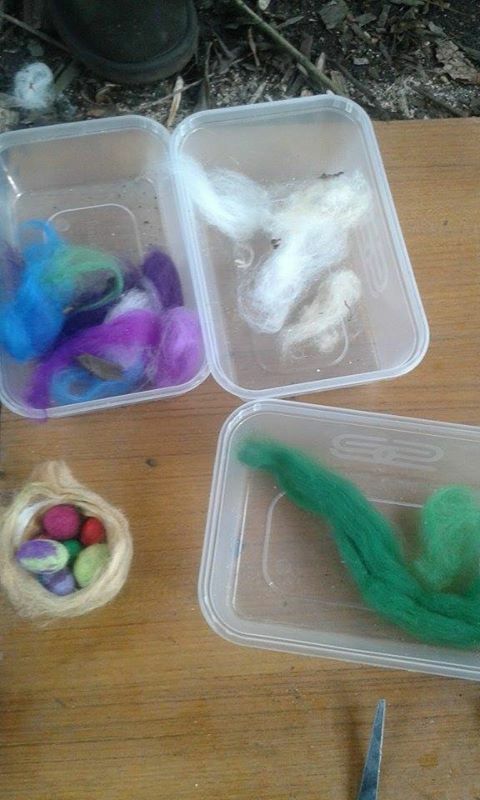 In fact it was so windy lots of wool got blown away so maybe there will be several coloured nests!